† tsucchi †: Let me repeat again. As much as I may look like the super cool Sailor Mars, the same hair colour and wearing a similar dress, kind, brave, super cute and all, this is NOT A COSPLAY. Anyway. Ran out of places to shoot and went to the sea. A total disaster. Winds at the sea totally messed up my hair. Some sea equation or what? The more perfect the hair, the stronger and douchier the winds. 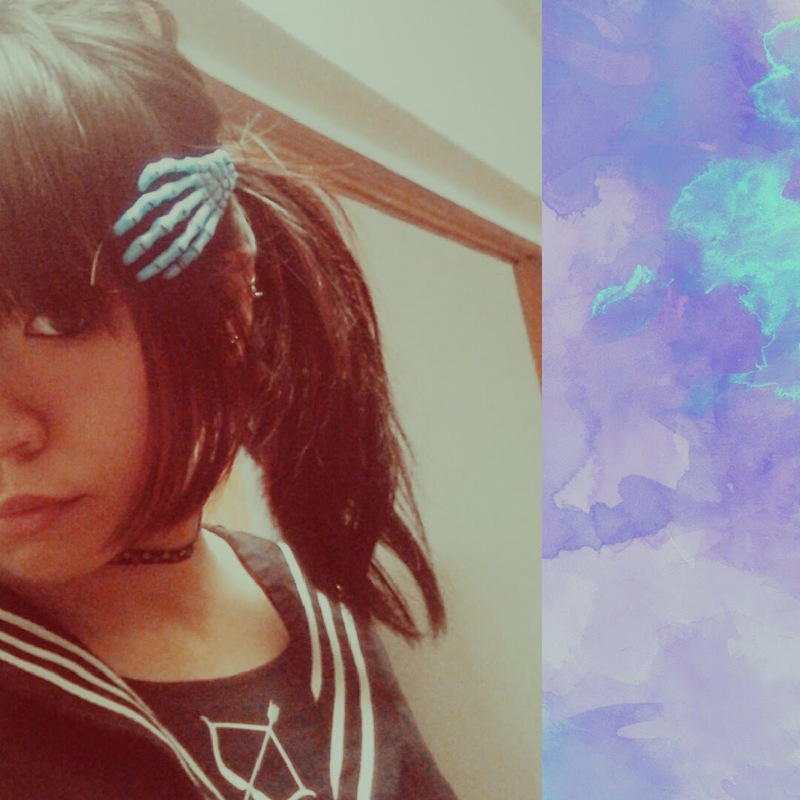 Today's look is about forcefully combining sailor + horror-kawaii items to recreate a pin-up (Asian) girl look. Not too bad an end result though! I thought I wouldn't have been able to pass off a pinup-ish look (because I am Asian and some times I forget I am Asian). Still looks okay! Many thanks to my ikemen man restyling everything on the spot at the beach + newly acquired divine powers from Goddess Photoshop, I was able to salvage my hair. No thanks again, sea typhoon breeze. Creating a horror-kawaii look is simple. Just stick an eyeball, a zombie limb or a bone onto your hair. I chose www.bornprettystore.com (BPS) 's skeleton hair pin, one item that I always wanted to have! It came in a thousand colours and I was so lost! Picked a red and a blue at the every end. Almost in tears when both came in the mail. TOO AWESOME! United Kingdom brand KREEPSVILLE666 carries similar ones too! They even have skeleton necklaces and in diamante! Gosh! Want them for my wedding! Sailor dress not from Sailor Moon but from Harajuku brand kawi jamele. KJ's stuff are designed by J-POP singer Milliyah Kato. Cool gal. Satchel with regards from my dearest friend and sis Sheen. She definitely has the best fashion sense! Can't wait to see her back at home soon! Ending off again with a coupon code! If you'd like to spook up your hair like mine or looking for other awesome items, visit my friends at www.bornprettystore.com and enter my coupon code "LEET10" upon check out.